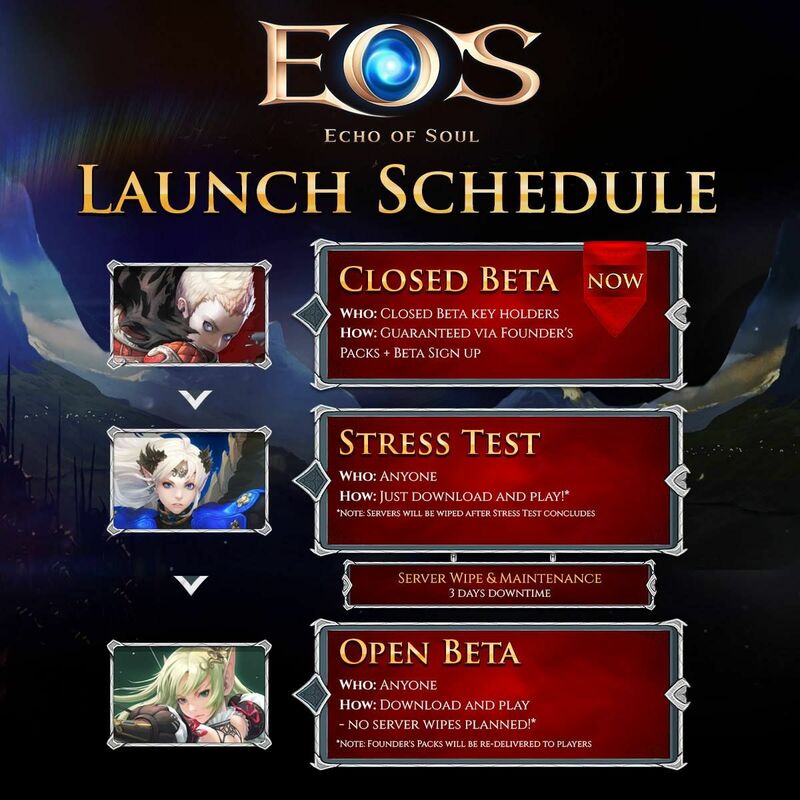 Aeria Games just revealed the Echo of Soul launch schedule, showing the studio's plans up to the open beta stage. While no dates were revealed, the closed beta should end soon and the upcoming stress test will be available for all players, although a server wipe after the test concludes is to be expected. Three days later it's time for the open beta, which is probably going to run for a while, if the usual MMO plans are to be followed. Everyone will be able to join, no more server wipes and now the time has come to enjoy the game, although knowing that bugs are probably still a part of the deal. We have tried this game during the closed beta and found it enjoyable, although it's far from groundbreaking. You can watch our Echo of Soul first impressions to see how the game looks and sign up here to get ready for the upcoming tests.